About the Access to Medicine Index: The Access to Medicine Index analyses 20 of the largest research-based pharmaceutical companies with products for high-burden diseases in low- and middle-income countries. It ranks them on their efforts to improve access to medicine in seven areas of corporate behaviour and identifies best practices, highlights where progress is being made and uncovers where critical action is still required. The Index is endorsed by more than 80 investors, collectively managing assets worth more than USD 10 trillion. It is published every two years by the Access to Medicine Foundation, an independent non-profit organisation funded by the UK Government (UK AID), the Dutch Ministry of Foreign Affairs, and the Dutch Ministry of Health, Welfare and Sport and the Bill & Melinda Gates Foundation. The 6th Access to Medicine Index shows where pharmaceutical companies are currently focusing their efforts to improve access. 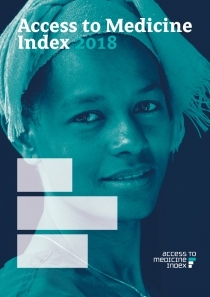 The Index is a guide to what is working and a tool for inspiring further action.